Click here for the My Family History main page. as Scout Master. 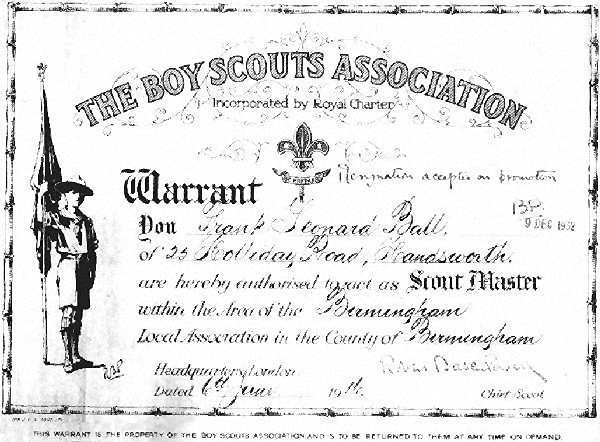 It is signed by the Chief Scout, Robert (later Lord Robert) Baden-Powell.